Since Mitchell’s death, I have struggled knowing that his big brother, Frank, is left here alone. Frank is my accidental only child. I never intended for Frank to be the only child. That wasn’t in my plan. I wanted two children; maybe more. But, life has clearly taught me that my plans are not the plans that matter. Of course, Frank is not an only child; and he knows that. He knows that he has a brother waiting for him in Heaven. I struggle because I see that Frank gets lonely. Mitchie should be here to be his playmate and share his life. Frank misses his brother; he still cries sometimes. It’s a lot for an almost nine-year-old boy to feel and think about. Frank has lived through a lot in his young life – he’s seen illness, death, addiction and now divorce. He was three years old when his little brother, Mitchell, was born. And he was so excited. During my pregnancy, we read “big brother” books; we talked a lot about how he would help us to take care of his new, baby brother. The boys bonded immediately. That connection continued. Mitchell looked for Frank and loved to hear his voice. Frank was never jealous of his baby brother. Watching them together was a special time that I will never forget. When Mitchell was diagnosed with cancer, I remember how traumatized Frank was. Suddenly, his little routine was completely out of control. The stability and schedule Frank had known his whole life was disrupted. From the beginning, we told Frank that Mitchie was very sick; we were honest with him when he told him that Mitchie could die. Although he didn’t quite have the words for it at that point, Frank could feel that all the adults in his family were completely stressed out. I remember his preschool teacher telling me that she would watch him on the playground right after Mitchell was diagnosed and Frank would stand by himself, staring into space. That was a marked difference from the vibrant, carefree three-year-old who thought being a big brother was the greatest thing in the whole wide world. On good treatment days, we sometimes took Frank to the hospital to see his baby brother. They were always so excited to see each other. As Mitchell made progress and achieved remission, we were able to bring him home. One of their favorite things was to play dress up together after dinner. They laughed and played like normal children. They were not normal children. Mitchell was sick almost every day from the chemotherapy. He only had the energy to play for short periods and then would ask to be put back into his crib, so he could rest. He spent much of his short life in isolation because there was so much to risk with illness or infection. That meant Frank was often isolated from others, too. One day, Frank and Mitchell were playing “peek-a-boo” under a blanket on the floor. Frank bumped Mitchell’s nose. It was not a hard bump at all. Mitchell’s nose suddenly gushed blood. 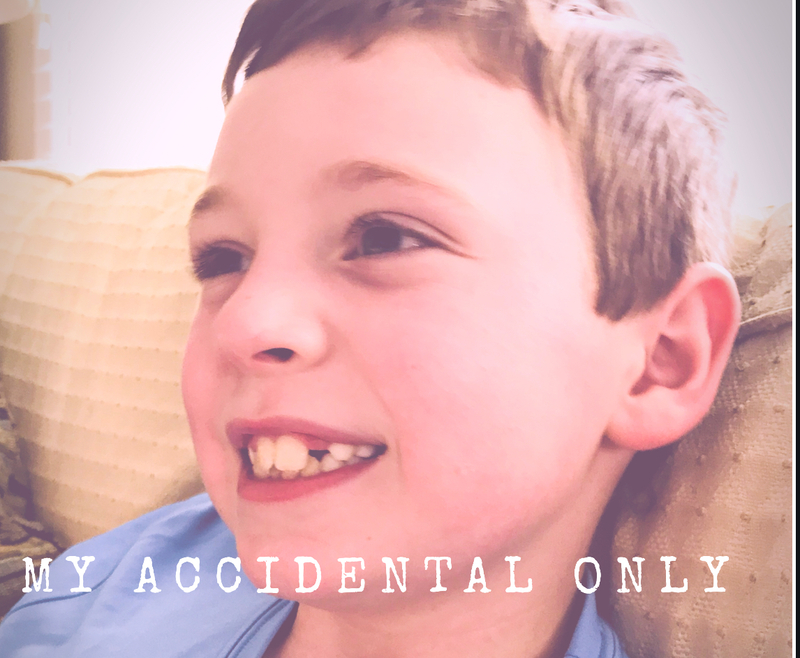 In an instant, I was on the phone with the oncologist who told me to bring him to the hospital to check in because one of the symptoms that Mitchell had that told us something could be wrong was a bad nose bleed. The next day we found out the cancer was back – with a vengeance. It was in over 80% of his bone marrow. That was the day that, for the first time, I was pretty sure that my baby boy was going to die. When Mitchell died, Frank blamed himself. For over a year after Mitchell’s death, Frank worried that his bump “caused” Mitchell’s nose to bleed. We assured him it was not his fault; we told him that when people are sick with cancer they sometimes bleed very easily. But, Frank just knew the basic cause and effect: he bumped Mitchie and Mitchie started bleeding. Eventually, he stopped talking about it. I worry that he still carries that guilt. And that’s a lot for a little boy to carry. After Mitchell died, I gave everything I could to caring for Frank. That was hard; I was grieving Mitchell, and I spent a lot of time in bed. Frank’s paternal grandmother who had cared for him throughout Mitchell’s illness was now dying of cancer, too. Frank started Kindergarten less than six months after Mitchell died. The summer before second grade, Frank, our dog, Lucy, and I moved out of the family home. Now his parents were getting a divorce. I assured him that we were okay; I assured him that he was safe. It was still hard for him to understand. We worked with counselors and our ministers to make the divorce a safe and open topic of conversation. Today, his dad and I do our best to put Frank first. He lives with me and visits his dad twice a week. We try not to let our “adult stuff” get into his little world. He has told me on more than one occasion that he misses Mitchell and wishes he was here to talk to about it. It hurts me that Frank must do these big, life things without a friend, without his brother. I wanted two children because I wanted them to have a sibling – I wanted them to have each other as friends for life. As brothers, they would always have someone who knew their history and could support them like only family can sometimes. Now I tell Frank that he is my “one and only” on Earth because Jesus takes care of Mitchie, and I take care of him. He once told me that looking at Mitchie’s pictures made him sad sometimes because it reminded him that he died. I just listened and gave him a big hug. I really like to look at pictures of Mitchie. It reminds me that he lived. His life changed mine in such a meaningful way. I know that I am a more patient and present mother to Frank because of Mitchell. Frank’s birth made me a mother, and I love my role as mother. Mitchell’s birth and death made me a better person. Precious Meg – I can’t say “I can imagine” but I can say I hurt so much for you,Frank, little Frank and the rest of the family. Little Frank will grow up to be a strong man because of your loving care. Mitchie has his arms around both of you. I also wanted to share info on a private bereaved moms FB support group that has been a lifeline for me. It is a christian ministry called While We’re Waiting. It was started by two families who lost children. Can’t say enough good about. We will lift your family in our prayers. May God give each of you a peace that passes all understanding.